Hi! I'm Jill Emmer. I'm a Minnesota mom, a photographer & the owner of Shine On Photos LLC. 2017 was such a fun year! Filled with adventures - large scale art installations, a JJ Community book cover and a trip to Uganda to run a 5k with over 1500 refugees! You can read about it here on my blog. For the holiday season -- I have created a project that was inspired by these exciting experiences --called The Shine On Project. A month or so ago I met with the American Refugee Committee and discussed what the residents (over 100,000 refugees!) of Nakivale Refugee Settlement in Uganda REALLY need. The American Refugee Committee (ARC) is a non-profit committed to helping refugees in need around the world. They are based in Minneapolis, Minnesota. They shared that while refugees seem to be faced with insurmountable challenges, it is sometimes the simplest things that can create immediate and lasting change. The gift of one solar light is so simple, but so powerful in the hands of a refugee. When they mentioned light as a need -- I thought of my friend Kevin at the JJ Community. He is a leader of a non-profit called Watts Of Love. It is an amazing non-profit based out of Chicago that delivers solar powered lights to those in need around the world. 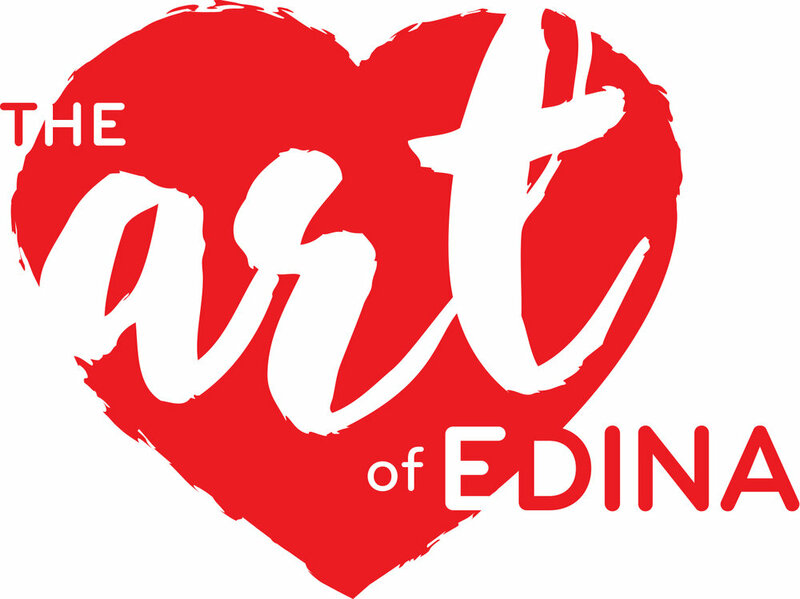 And maybe we could bring in a third organization, one that I direct called Art of Edina, to create a large public art installation in their honor to raise awareness. The project is starting off with a big first step! The entire 4th and 5th grade classes (over 150 kids) at Our Lady of Grace (OLG) Catholic School are making paper lanterns which will be a part of a Light-Themed, Art of Edina Installation at the main atrium in Southdale Center. They will be installed mid-November, 2017. There will also be a display of photos taken by the Minnesotans that traveled to Uganda. For every lantern that an OLG student creates - the very generous supporters from Tradition Companies are sponsoring a solar powered light from Watts of Love to be sent to Uganda!! Tradition Companies are also the sponsors of Art of Edina as a part of their Pass It On Initiative. That means we already have over 160 lights being sent to Uganda! How much bigger can we go? How many lights can we send this season? I am going to reach out to my friends, family and the community to ask for help! You're here on this web site now -- will you please help too? PLEASE Give the gift of light & help a refugee outshine their circumstances!